I have finally created a CodePlex project for DISM GUI. The latest version (3.1) can be found on the CodePlex site as well as the source code for what will eventually be version 4.0. So for anyone that wants to see the inner workings (and my sloppy code) of DISM GUI head on over to CodePlex to take a look. If you are interested in helping out with the development contact me through the Codeplex site. From now on I will be keeping all releases of DISM GUI on the CodePlex site and remove it from my Skydrive account. **Update** There is a new version of the DISM GUI that can be found in this post. Have you ever worked with DISM for some basic WIM management and thought this would be much easier with a GUI interface? 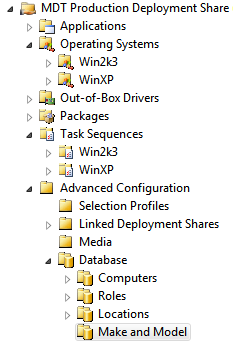 I had heard a while back that Microsoft would eventually come out with a GUI DISM utility but I got tired of waiting. The command line is fine for writing scripts and managing lots of WIM files but I often found myself using DISM in sparingly. Usually there is weeks or even months in between uses so I would often forget the syntax. So this is a quick and dirty GUI I put together for automating some of the command lines for DISM. 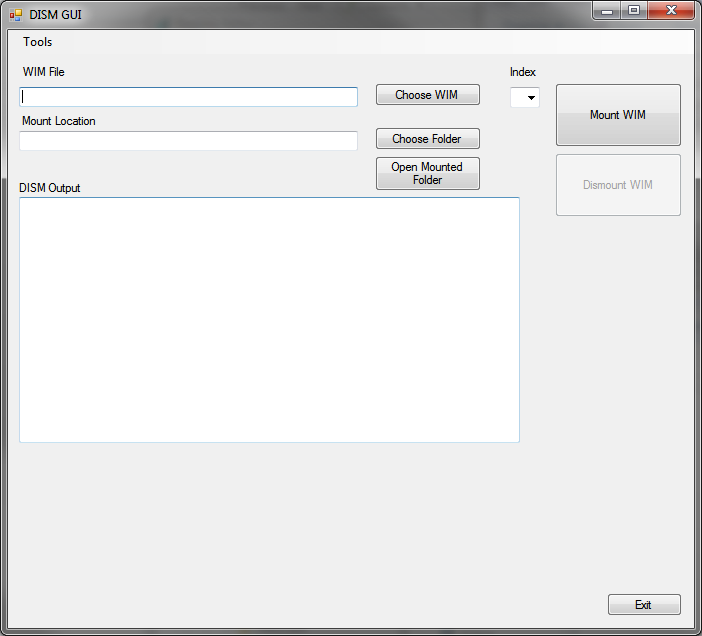 Right now it only allows you to mount and discount WIM files but I plan on expanding it’s functionality in the future. This may work on Vista SP2 but I don’t have a Vista machine with the WAIK installed on to test it with. If you try it on Vista and it works leave me a comment and let me know.